Here we will add tidal terminology that we have come across in our wanderings. We will start with more obscure / poetic terms, as many of the well-known ones are, well, well-known! These are in order of find rather than alphabetical. We are now adding new entries at the top rather than the bottom. Gout. A name for tidal outfall flaps or older discharge infrastructures, certainly used in South Wales, and particularly the Gwent and Wentlooge Levels. To allow reens (rhines) to drain seaward, but prevent inland flow at high tide. This report talks of the old stone Gout at Peterstone, Wentlooge Levels. (Thanks to Rhyddain Jones for reminder). Pill. This is a name, local to South-west England and Wales, for small tidal creeks, and/or the tidal outlets of streams emptying into sea/estuary. Some were used as small coastal trading harbours. Some are sill used today. For example Oldbury Pill, Severn Estuary. See here. (Thanks to Rhyddain Jones for reminder). Roost. This seems to be a term for regular areas of rough, fast flowing water, produced by tidal ebb and flow, often through channels and sounds. It is used by Rachel Carson in the essay The Sea: Wind, Sun, and Moon. Here is another example; “Going west about from Kirkwall to Stromness will take about 3 1/2 hours at 8 knots. Leaving Stromness for Kirkwall is about the same as stated for Stromness to Westray. During any westerly weather there is quite a roost out of Hoy Sound on the ebb.” source here. Shift Tides. Sighting the positions of the sun and moon using a sextant and using a nautical almanac to determine the location and phase of the moon and calculating the relative effect of the tides on the navigation of the ship. Tattle Tale. Light cord attached to a mooring line at two points a few inches apart with a slack section in between (resembling an inch-worm) to indicate when the line is stretching from the ship’s rising with the tide. Obviously only used when moored to a fixed dock or pier and only on watches with a flood tide. Wind-Over-Tide.Sea conditions with a tidal current and a wind in opposite directions, leading to short, heavy seas. Emersion. “The process of emerging from water after being submerged”. This term can also apply to celestial emergence after an eclipse, or emergence into view more generally. This obviously applies to things emerging out of the sea and the tide falls. See here Encyclopedia of Tidepools and Rocky Shore edited by Mark W. Denny, Steven Dean Gaines for use of term in relation to tidal rise and fall. Besid-Neap. [Sea Term] a term for low Tide. Found in an English dialect dictionary here. No other info to be found at present. Pilot Songs or Verses. The artist (and sailor) Alex Goodman alerted me of these. They are songs which contain information about pilot passages so it can be remembered. Some reference to this idea (but no specific reference to tides) is mentioned here. Elver Tide. I saw this in Brian Waters; Severn Tide, Dent and Sons, 1947. There are lengthy descriptions of elver fishing on the Severn in this book. He talks of how ‘Elvers are fished for the length of Severn tide, from Lydney to Tewksbury”, he describes how where and when and how to fish was in part determined by the state of the tide (and the season). He says that some ‘elver tides’ were more productive than others. Tidal Festivals. There are a small number of festivals around the world which are tidal in that they are staged to coincide with a high or low tide, and even use spaces of low tide. The tide, high tide, low tide etc is part of the programme on offer. Here are a few examples we know of. We have recently curated our own pilot tidal festival in Shirehampton Bristol recently as part of the Water City Bristol case study of the large Towards Hydrocitizenship project. This was held at the delightful Lamplighters pub and Lamplighter Marsh on the banks of the Avon and was staged between low water and high water at on of the highest tides of the year 15 Oct 2016. See more details here. A large Tidal Festival took place in Devonport, Tasmania in January 2017. Led by the Devonport Regional Gallery, a whole range of events and creations were staged, including on inter-tidal areas. See full details here. The Salt Water Drovers. we saw this in relation to drovers who “worked with the tides in mustering the cattle as they move them from mainland Tasmania to Robbins Island.” Source here. There are many links between droving and tides as drovers knew of river mouth crossings, and crossings between mainlands and islands, which were passable only at the low tides. The Portbury Kiss. An accidental black mark put on large ships as they pass through the Royal Portbury Port tidal lock gates and rub against large rubber buffers. Source – see link below. Tide Surveyor Parlour. A room in one of the Watch Houses on the tidal River Avon near Pill, from where river traffic and the tidal conditions were observed. Part of the Pill Hobbler community and port business systems. See this blog post for more info on the Pill Hobblers. Low Tide Walks. Walks that can only be done at certain – often very – low tides. So a few times a year – or even less than that. Maybe around a headland from cove to cove, or to a tidal island. There is a page dedicated to these on this blog here. Mud Horse. A kind of sledge for moving across mudflats too soft to walk upon. Used for various forms of inter-tidal fishing and harvesting. Putchers. A woven funnel like trap, often made from willow, staked out in inter-tidal lands at low tide which can catch, fish, particularly salmon, when covered at high tide, which can then be retrieved at the next low tide. Lathe Net. A large hand-held net used for fishing in tidal waters by wading though the rising tidal margins. Tidal Wake. A wake, as in ship’s wake, is commonly made by an object moving through water. Tidal wakes occur when tidal flows washes past a stationary object. Here is an example – Clevedon Pier Severn Estuary – ebbing tide. Very much a scratch trial film. New version to come. Shore Lark. Rare winter visitors (to the UK) – a small lark that feeds on coastal / tidal margins and tide wrack lines. Tidal Atlas. These are books of charts of tidal waters for navigation purposes. mentioned in Hugh Aldersey-Williams book “Tide: The Science and Lore of the Greatest Force on Earth”. He says, on description of navigating a family sea passage, “We also had a tidal atlas, a booklet with pages showing the same body of water at each hour before and after high water for a full tidal cycle of twelve hours”. (pp:xxii-xxiii). The Breathings of the Moon. This maybe slightly cheating to put this in; it comes from a quote from the Venerable Bede (Saint Bede), one the great Anglo-Saxon scholars, when trying to describe and explain tides. They knew tides were linked to the moon’s phases, but not knowing of gravity, sought some other explanation. The Establishment of the Port. A phrase meaning the coming of the high tide to a port which made it navigable. This is discussed in Some Early Tidal Diagrams, Derek Howse, 1985, who also reports that one Admiral W. H. Smyth, in The Sailors’ Word Book criticised it as “an awkward phrase to denote the tide-hour of the port”. So..
Tide-hour of the Port. A term denoting the time when a high tide makes a port navigable. The Southing of the Moon. According to Howse, this was a common phrase up until the 19th century. It was an expression trying to make sense of how the moon affected the tide in relation to navigation; the crossing on the moon over the Southern meridian being a marker for coming high tide. Stolen Tide. “A tide which approaches by stealth; particularly a local term for the high tides which creep up the gullies and marshes of coastal Lincolnshire, England.”. Lee Tide (Leeward tide). A tide which is flowing in the same direction as the wind. (Thus the height of tide might be amplified when wind is pushing water onto the coast, or into an inlet or river mouth; the time of high tide/turn of the tide might be slightly altered). Weather Tide. A tide which is flowing against wind direction. The height and time of tide again might be slightly altered. Book Link. (This book has a short essay about tides in it). Puja and Baix. The words for flood and ebb in the Catalan Atlas of 1375, one of the earliest tidal diagrams according to Hoswe (ref above). Flo and Esbe. Rising tide and falling tide from the Hauge Atlas of 1541-7. (Howse). Full Sea. High tide / high water. (Howse). Change Moon. Another name for new moon. (Howse). Age of the Moon. Where the moon is in its monthly cycle from new to to full. (Howse). (see next entry). The Golden Number of the Year. This is a bit complicated, but Howse explains that in the Brouscon Almanac, 1546, there was a means of telling the age of the moon from the calendar of Christian feast days – moveable in relation to the moon (like Easter) – and immovable. These in turn were linked to the Golden Number of the Year. See here for more on the Golden Number. The Real and Ecclesiastical Moon. In relation to the above, there were somes difference between the actual age of the moon in its cycle and the age of the moon in ecclesiastical calendars, this was important to know when using the religious calendars in relation to tidal prediction. The Sett of the Tide. Old English term for the direction of flow if the tide. Aphelion. The orbital point farthest from the Sun when the Sun is the center of attraction, as opposed to perihelion. Apogean Tides. Tides of decreased range or currents of decreased speed occurring monthly when the Moon is near apogee. (Apogee. That orbital point farthest from the Earth when the Earth is the center of attraction, as opposed to the Perigee). Perigean Tides. Tides of increased range, or currents of increasing speed occurring monthly when the Moon is near Perigee (Spring Tides; King Tides). Perigee: that orbital point nearest the Earth when the Earth is the center of attraction, as opposed to Apogee. Lagging of Tide. The periodic retardation in the time of occurrence of high and low water due to changes in the relative positions of the Moon and the Sun. Tide Rip(s). Small waves formed on the surface of water by the meeting of opposing tidal currents or by a tidal current crossing an irregular bottom. Vertical oscillation, rather than progressive waves, is characteristic of tide rips. Tide Staff. A tide gauge consisting of a vertical graduated pole from which the height of tide at any time can be read directly. Also called tide pole. Double Low Water Double High Water. In certain locations, because of local topography, periods of low and high water have a mini rise and fall (e.g Hoek Van Holland (Low) and Southampton, England High). Young Tide. A newly rising tide. I got this from Tarka the Otter by Henry Williamson. Blood Moon. On rare occasions the moon appears as large and red – caused by the moon being softly illuminated in a total lunar eclipse by sunlight that has bent around the earth and thus through the earth’s atmosphere. (The same reason that sunsets are red). As this occurs at a moment of syzygy – sun, earth and moon in line – it coincides with spring tides. This magnifies the degree of ‘cosmic drama’ on show – high tides, red moon – and there are many spiritual associations with blood moons. Warth. (Old version of Wharf?) River or estuary bank. Both of these suggested by Warwick Moreton https://twitter.com/WarwickMoreton (thanks). They still appear as terms on maps of the Severn Estuary and no doubt other shoreline areas. 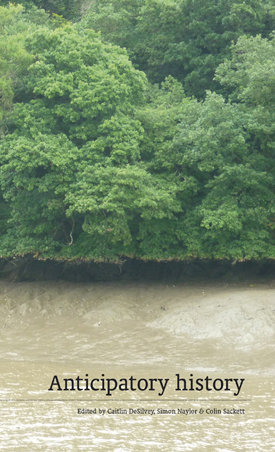 Whale Warth at Littleto-on-Severn was named as such when a huge sperm whale washed ashore there in 1895 on a high tide.